Only a Goalkeeper can play in Goal and Goalkeepers cannot play outfield. You can only set 3 substitutions per In-Game Instruction. Click on a button to change your formation. It is best to set only a few In-Game Instructions and to keep the changes modest. It is best to decide what time you want to make your changes then set a few In-Game Instructions for different situations at that time. This way it will ensure subs you bring on are not later brought off at a later time. Changing from one formation to another at 45 minutes and then again at another set time, whilst trying to make substitutes could have an effect on your team's performance as well as not all the subs being made. If you are having difficulty using the drag and drop method please click here to use the tabular tactics screen. 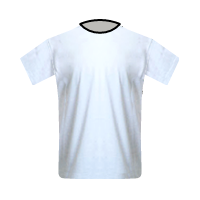 You must drop the player on to a shirt.Only a Goalkeeper can play in Goal and Goalkeepers cannot play outfield.